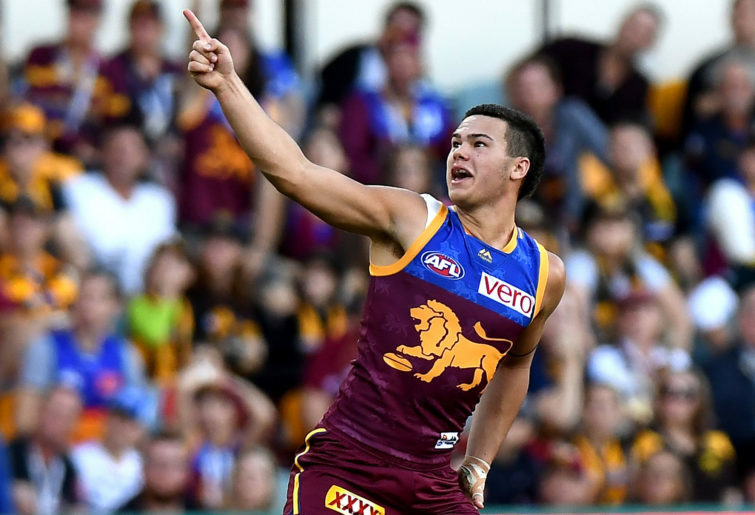 There was such a positive reaction to the series of comprehensive meta-reviews of the 18 AFL clubs’ 2018 seasons, the temptation to follow up with a quick preview of their 2019 seasons was too much to resist. I’ve already run with my projected bottom nine teams, so let’s take a look at the top nine. To tighten the defensive gates to under 80 points per game – every finalist was there last seasonl; the Dons gave up almost 84 a game. To reach finals and win a game once there. To make everyone forget there ever was a – wait, I’ve forgotten what happened in 2012. Plural entries on the 40-man team. What will Joe Daniher do for the Dons this year? He could be the difference between finals and another lost season. The other possible player of the year would be the incoming Giant star Dylan Shiel, who’s perfectly capable of pulling a Devon Smith and becoming the best Bomber in his first year there. Watching Anthony McDonald-Tipungwuti make his two or three spectacular plays a game makes it worth watching Essendon every time he plays. Defensively the Crows need to keep their inside 50s and their points per inside 50 at or below the league average. To place more than one player on the AA team. Seriously, with the talent on this team, they should have one in each segment of the field, minimum. Taylor Walker. Last year must have been a nightmare for him, but he’s too good to suffer through a year like that again. If he’s kicking 60 goals, Adelaide’s in the finals. 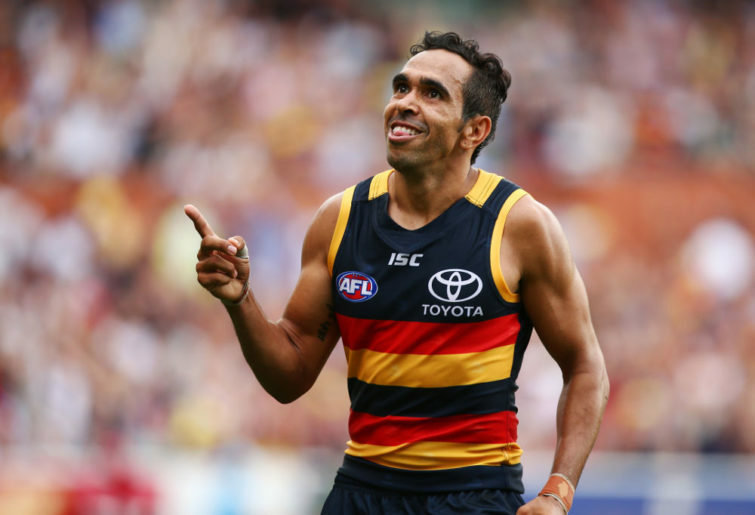 How can you not like Eddie Betts? He’s maybe the most entertaining player in the league, and if I lived in Adelaide, I’d have season tickets near Eddie’s pocket for the sheer spectacle of it. Here’s hoping for an uptick back to his 2017 numbers. My prediction for 2019: 8th. To match their offensive and defensive stats in 2019: Allow no more inside 50s than they create, allow no more points per entry than they score, reach as many metres gained as they allow, et cetera. To have two players on the team. If ‘player-coach’ Luke Hodge can continue what he started last year and tighten up the defence and have his youngsters play even more, the Lions will be halfway to their goal. I’m a fan of future superstars Cam Rayner and Alex Witherden, and Eric Hipwood and Lewy Taylor, but my personal favourite on the Brisbane roster is the apprentice himself, Matt Eagles. Here’s hoping he stays in good health this season and gets a fair shot at proving himself worthy of a regular spot on this AFL roster. My prediction for 2019: 7th. Offensively, there’s no reason this squad shouldn’t be capable of putting up shots more than 45 per cent of the time they move the ball inside the 50. Last season they weren’t even up to the league average of 43.64 per cent. Given that their ‘down’ year still got them into the top eight, preliminary finals is a reasonable goal every year for the 21st century Swans. To do to the Giants what they did to the Swans last season: End their year in embarrassing fashion. More than the one Blood in the nation’s top 22 this season. Lance, always Lance. There was a reason that Sydney made Lance Franklin the first million-dollars-a-year player, and it’s the reason he continues to draw the attention of every footy fan whenever he’s on the field: He can do things nobody else can do. If you want another statistical goal for the Swans, how about this one: Get the ball to Buddy in scoring position so often that he has a reasonable shot at 100 goals this season, and you’ll have a reasonable shot at a top-four finals seed. Well, actually, it’s Franklin, and after him it used to be Gary Rohan (now departed), but the one guy I’m really enjoying watching become indispensable is the defenceman so nice they named him twice, Aliir Aliir. He’s come a long way from the seemingly lost young athlete two years ago. My prediction for 2019: 6th. Two in number, probably related. The Demons were the most sieve-like defence of the final eight; if they can restrict the opponents to less than 75 points per game, that would go a long way towards the second goal, which is improving the 0-5 record Melbourne sported last year in games within two goals. They were 14-3 in all other games. To return to the preliminary finals. It’d be nice to go one game more than that. Add a new name to the Demon list of All Australians, meaning a new star rises from the roster of reliable players. Probably Max Gawn. He’s been the dominant ruckman over the past two years – but ask Todd Goldstein how fragile that title can be. It requires good health, and you can’t hide in the forward line like a midfielder – see: Patrick Dangerfield. The fact that the Demons acquired Braydon Preuss as insurance should worry anyone who thinks of Gawn as the superstar on the ale ads; it won’t take much to reduce him to a full-time pitchman. To be truthful, it’s probably Maxie. My prediction for 2019: 5th. Given the huge leap in performance from 2017 to 2018, it’ll be enough to maintain the numbers they put up in their title season. They’ll tell you it’s to defend their title, but even getting back to the last Saturday in September would be huge. Four players on the 40-man AA list and at least two of them on the actual team. 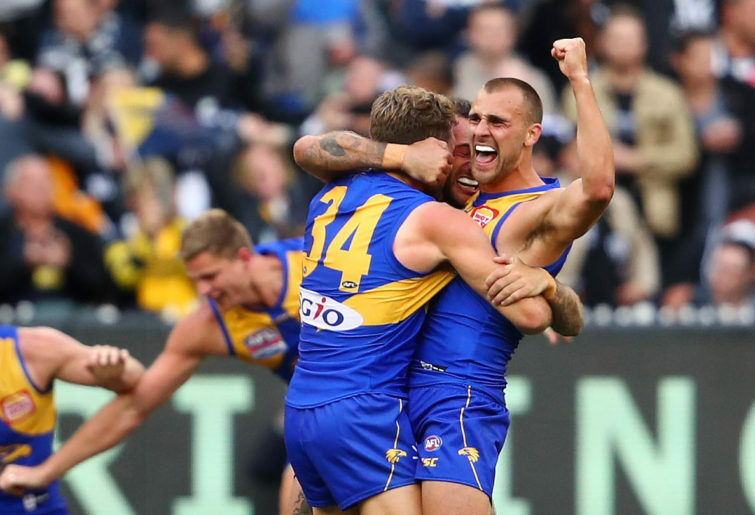 Can Andrew Gaff make people forget the end of his last season? If he can, that fact alone will go a long way towards making people forget that Richmond’s the league favourite this year. The idea that Nic Naitanui has taken the field only 15 times in the last two seasons is painful to every true footy fan. Nic Nat is one of the most athletically skilled players the league has known, combining freakish abilities with the knowledge of where to be when. 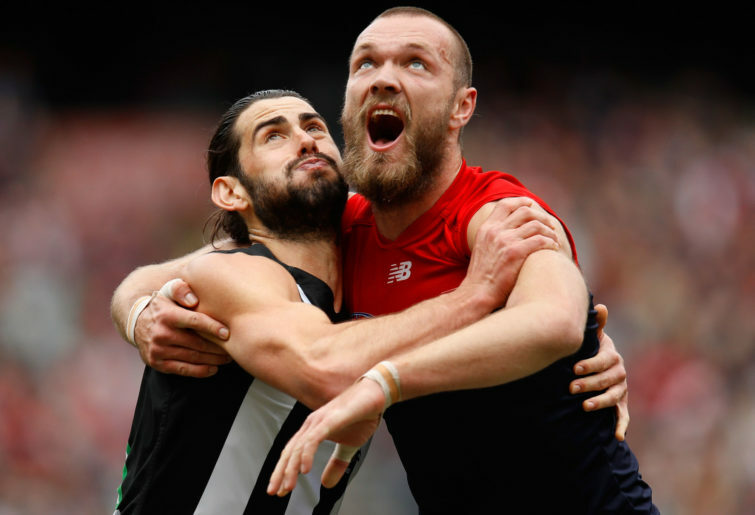 His game-winning goal in the last seconds against the Giants in Round 21 of 2016 – the last game before he tore his ACL against Hawthorn in the following match – was a clinic in being in the right place at the right time, which is not something you say about a ruckman very often. My prediction for 2019: 4th. Two of them in particular would give the Hawks significant improvement in their 2019 performance. 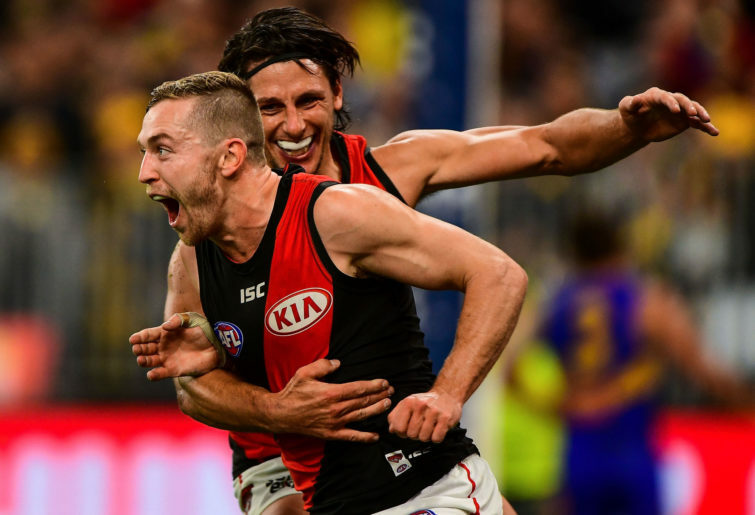 The first is taking more than 25 shots per game this season – the seven teams which took over 24.5 shots per game last year included six finals teams and Essendon, which played like a finals team most of the season. The second is gaining an average of 270 meters per game. Only four teams gained less ground than the Hawks last season: Footscray, Gold Coast, Fremantle, and Carlton, hardly good company. Same as GWS: to finish in the top six and win a final. The difference is, they might get it. To finish above Geelong and Sydney again. Like Melbourne, to put a new name on the player list. 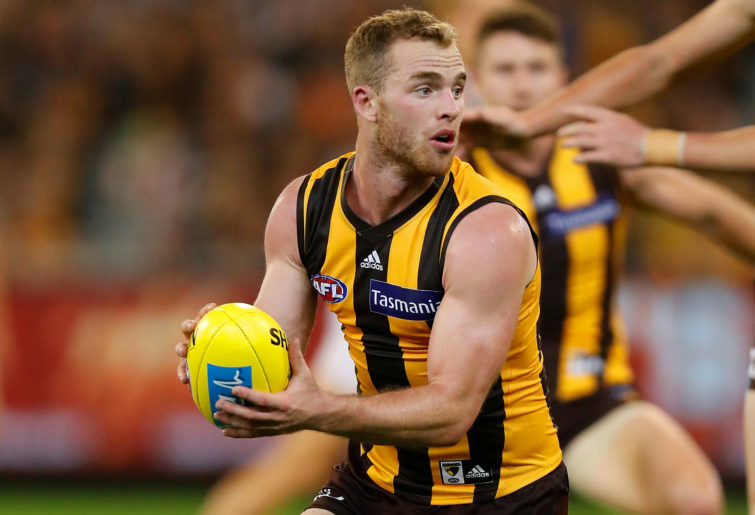 Yes, Tom Mitchell is tremendous. Yes, Jarryd Roughhead is still a great forward, even as he turns 32 next month. Yes, they still have Luke Breust and Shaun Burgoyne and Jack Gunston and Paul Puopolo. But the keys to Hawthorn’s success at this point in their existence are the fives, particularly Janes Sicily and Isaac Smith. These two men will determine to a significant extent how far they go this year, and with the highly entertaining Cyril Rioli now retired, they’re the most dynamic players on the roster. I hope and pray that Chad Wingard brought his A-game with him from South Australia, because when he’s on he is capable of taking over a quarter at a moment’s notice. My prediction for 2019: 3rd. The Pies had the worst defensive goal-to-behind percentage in the league. Imagine if they could haul that number down closer to 50 per cent! To make the preliminary finals. A return to the grand final would be preferable of course! A different outcome in that grand final would be much more preferable. To see some new Magpie names on the AA lists in 2019. 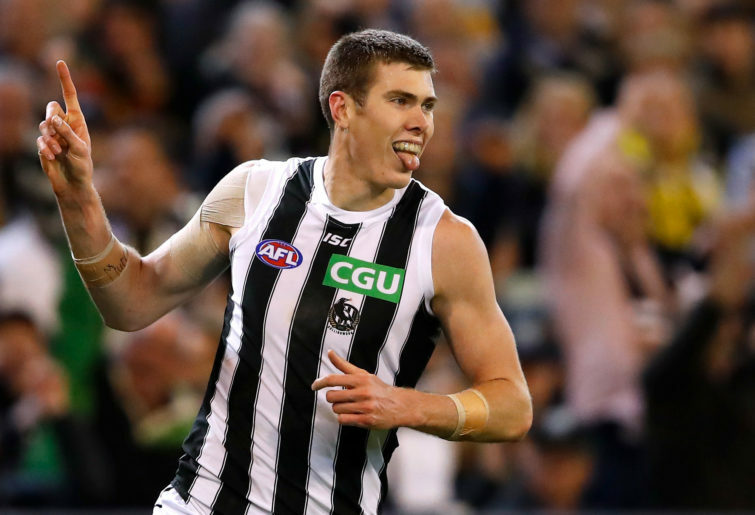 Can Jordan de Goey or Jaidyn Stephenson take another step into superstardom? If either or both can, perhaps Collingwood can itself take that final step. Of course it’s my fellow American Mason Cox. As a relative novice, he’s still an erratic player – one game he’ll set the post-season record for contested marks, the next he’ll be held nearly impotent by a strong defensive effort focused on him while the rest of his teammates score the first five goals of the grand final. As he continues to learn the game, he’ll grow more consistent and more effective game after game. My prediction for 2019: 2nd. When you go 18-4, sometimes the best goal is to keep doin’ whatcha been doin’. But Richmond can certainly improve their offensive efficiency – by raising their shot taking past 46.5 per 100 inside 50s, for example, as they were eighth in this category last season. On a connected note, they could aim to surpass 1.7 points per 150, a statistic in which they were ninth last year. Nothing short of the premiership should do in 2019, barring injuries. To get the nasty taste of 21 September 2018 out of their mouths. I know how that feels; that’s my ex-wife’s birthday. A repeat of last year would be fantastic. With Tom Lynch coming on board, ostensibly to ‘lighten the load’ on Jack Riewoldt on the forward line, the key question in the entire league may very well be how well the two men adjust to each other on the field. That duty will fall more on the incumbent veteran than the newcomer coming in from the Queensland coast simply because of experience and the number of other things Lynch will be adjusting to, jumping from a team that won four games to a team that lost only four games. That’s going to be a whole new kind of pressure: He’s going from being asked to salvage a dysfunctional offence to making sure he doesn’t screw up a highly functional offence! In the NBA my favourite player is LeBron James because it’s such a joy to watch the best athlete on the floor also happen to be the smartest player and the most unselfish player on the floor. Therefore Dustin Martin is my favourite player on the Tigers roster. My prediction for 2019: Premiers.